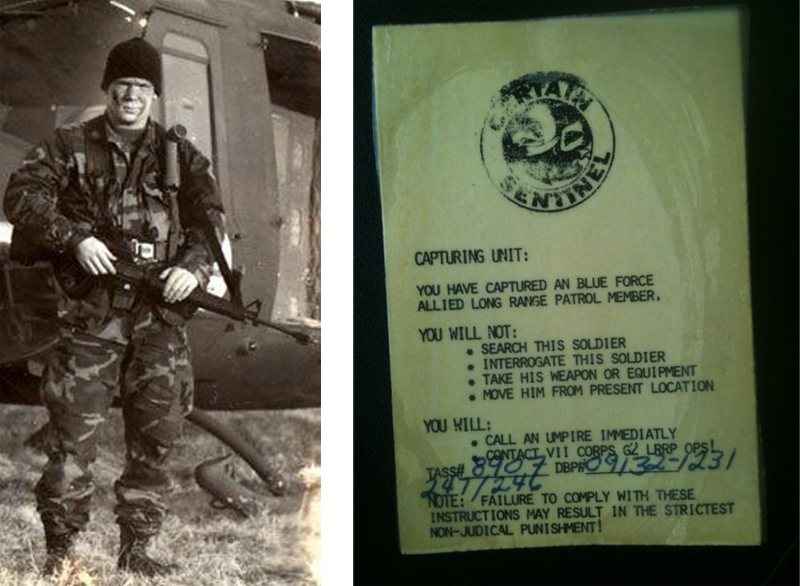 Left: Me at a training exercise in Northern Michigan with Co. “F”, 425 INF (AIRBORNE) Long Range Surveillance Unit. Right: My “Get Out of Jail Free” card for REFORGER. “What?” I asked. “You better turn on your TV.” The Berlin wall was coming down. We won. Every year we participated in an operation called REFORGER or “REturn of FORces to GERmany”. Part of our unit would go to England to cross-train with the British Special Air Service, another part would go to Germany to their special Long Range Surveillance School, and a third part would go to REFORGER. At REFORGER, business was serious. 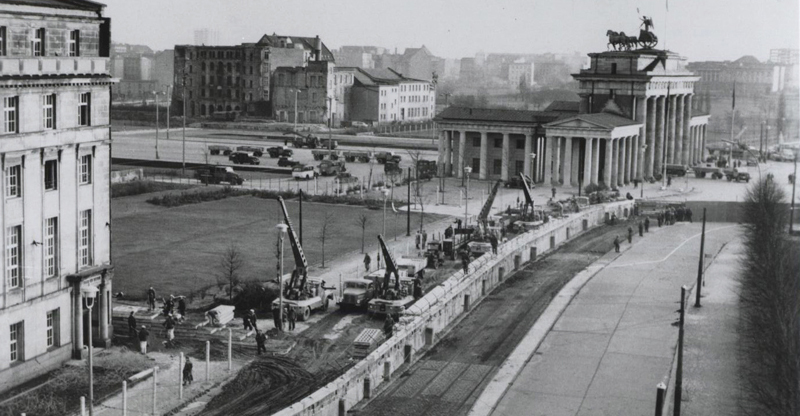 Construction of the Berlin Wall showing open kill zones, the early installation of the anti-scaling barrier and the raked areas where mines were installed. We flew on a C-130 from Selfridge ANGB in Mt. Clemens, Michigan to Lajes, Portugal. In Portugal we landed to refuel, stretch our legs, and receive a briefing that, once in Germany, we were “at war”. Equipment was changed. Uniforms were sterilized of insignia that identified our unit. And we were given a yellow “get out of jail free” card to hand to friendly forces when our own units captured us and they had no idea who or what we were. We, of course, were not allowed to say a thing to them. Only, “Call the number on the card”. During the time we were deployed to Europe near the East/West German border espionage was the national industry. A briefing told us “1 in 8 East Germans are involved in some form of espionage”. “While inside West Germany you will be under constant East German surveillance.” There was no way to shake it. And the East Germans weren’t subtle about it. An apartment building across the street from the former WWII German barracks we lived in constantly had observers in the window. They took our photos as we came and went. We went through ridiculous rituals to evade surveillance. Following one incident we were forbidden to wear uniforms off post. The place we were staying was built before WWII and it hadn’t been updated since. Especially the plumbing. It was build out of quant stone and concrete and had low ceilings and iron bars. The basement, really a dungeon, was where our equipment masters kept our armory. Drawing your equipment down there was like a scene from a Bond movie or “Where Eagles Dare”. The only thing missing was “Q”, and we didn’t have any Aston-Martins. Or fancy suits. Or watches that shot missiles. Our surveillance patrols consisted of six-man teams, sometimes less, sometimes more depending on what we were doing. Sometimes other members of different services, and even different countries joined us. I was our team’s “Scout Observer”, the guy who looked at stuff. I had to be able to identify things. Part of the reason I landed this job was I had an encyclopedic knowledge of military equipment, theirs and ours. Especially aircraft. Another reason is because I had graduated as honor graduate from my schooling at Ft. Benning, Georgia. The Berlin Wall was different in different places depending on where you were along its length. Sometimes it was simply a bricked-up building booby-trapped with mines. Other times it was a brightly lit open expanse, the “kill zone”, with mines and dog runs on each side of the wall. Where we visited this day it was actually a series of barriers; a barbed wire topped, chain link fence, a carefully raked pea-gravel kill-zone with anti-personnel mines and interlocking fields of sniper fire, the wall itself- a tall, concrete affair with what looked like a horizontal row of large diameter pipe on top of it. The sinister thing was, if a person lived crossing the minefield and the sniper kill zone, and actually managed to scale the wall itself, they were greeted on top by these rotating cylinders. They would simply spin backwards under your desperate grasp until a sniper’s bullet found you. In this spot, many people had tried to get across. None made it. We were observing an interesting phenomenon. The East Germans had closed a factory near the wall and taken it over as an observation post to look on our side of the wall. The OP was located atop a high smoke stack that used to be part of the now abandoned factory. At the top of the smoke stack was an East German observer. The intel we had was that this observer would change at regular intervals. It was freezing up there in the smoke stack observation point, and the poor East German border guard, or whoever he was, must have been miserable. He surveiled our side of the border through rifle scopes and powerful binoculars. But he was not entirely without creature comforts. One day a rickety-looking Lada compact jitney of a car pulled up near the base of Red Smokestack OP. It jerked to a halt. Oddly, a woman dressed in a huge, poofy white fur coat climbed out, carrying a cylinder from which steam was rising. Nerve gas? Radioactive isotope? It was soup to be delivered to the man in the tower. Two border guards accepted the soup canister and one appeared to try to make progress with the woman in the fur coat. He failed, she returned to her decrepit little car, reversed away from the kill zone and left. One of the guards spent the next few minutes carrying the large thermos of soup up to the top of the guard tower. We later learned that observation assignment to the guard tower OP was a kind of “punishment detail”. That the border guards who watched from the tower got there because they had screwed something up, been late to report to duty, etc. It must have been miserable up there in the freezing wind. And it is no wonder East German morale among their supposedly “elite” border guard units was reported to be poor just before the wall came down. While observing the wall, I learned a profound and sad lesson about humankind. Ducks had flown into a river on the NATO (free) side of the border. They paddled around as ducks do. But then, in complete contravention to all official doctrine surrounding border activity, the ducks took to wing, flew a brief circle over the pond on the West German side, and then flew directly over the Berlin Wall into East Germany. The ducks crossed the border without a thought or a care. No clearance, no identification, no checkpoint, no shooting. They just flew across the border. My concept of freedom was forever altered in that moment. My respect for the wisdom of man was also. The ducks could come and go. We built artificial barriers to separate ideas and ideals. Of course, The Wall didn’t work. And one day my phone rang. And the war that never started, a war that Tom Clancy wrote was, “A war with no battles, no monuments… only casualties” was over. And while I always stop short of declaring a “winner” in any war, I was quietly pleased to see that the cause of freedom and liberty had won the day the wall came down. Our unit was one of the smallest and least known of the entire U.S. arsenal. To this day, even its modest Wikipedia page is short and light on details. In the records of units who participated in REFORGER, our unit is buried deep inside another. That I know of, there is not a single photo of us in Germany. 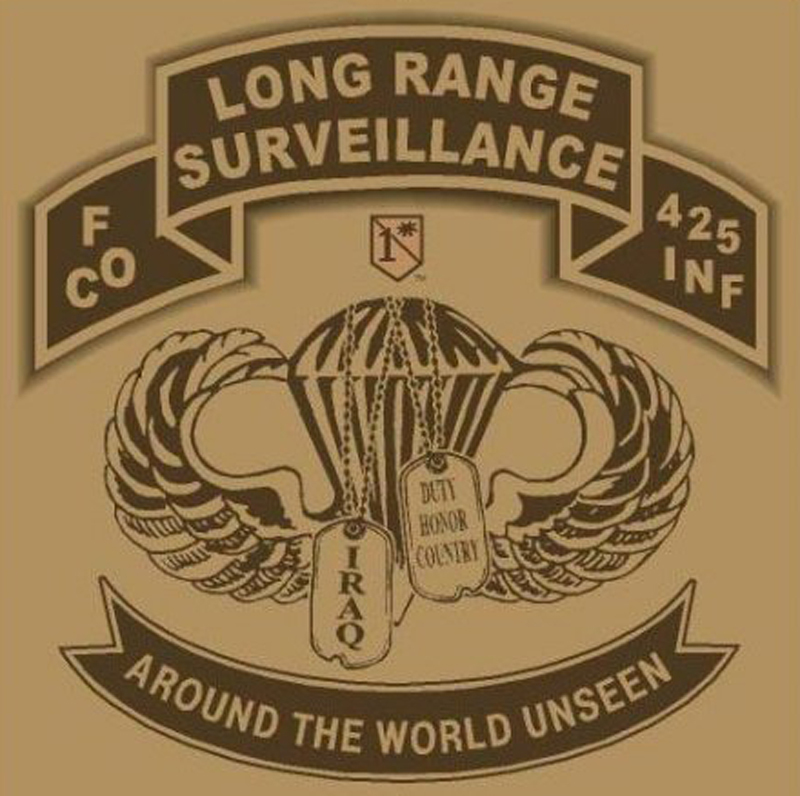 An unofficial unit insignia we made had the inscription, “Around The World, Unseen.” We were, as my Patrol Leader was fond of saying, “Like smoke in a hurricane”. 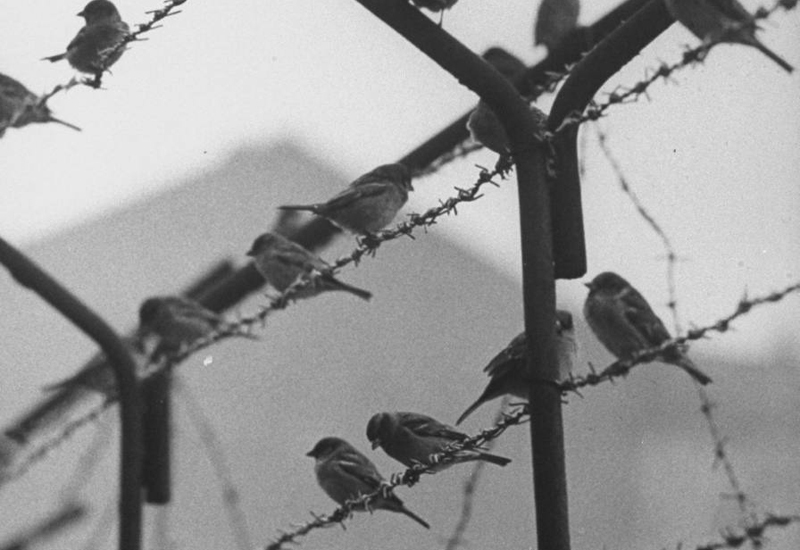 What we learned from the Cold War and the Berlin Wall coming down served us well. In the first Gulf War Long Range Surveillance Teams, now part of a new secret U.S. Army Special Forces unit, penetrated deep into Iraq to survey routes for armored invasions, find Scud missiles and direct airstrikes and rescue downed U.S. airmen. Long Range Surveillance and its value was more than proven. Again, as it was by the reconnaissance teams before us, the LRRPs in Vietnam and recon and intelligence units in WWII.